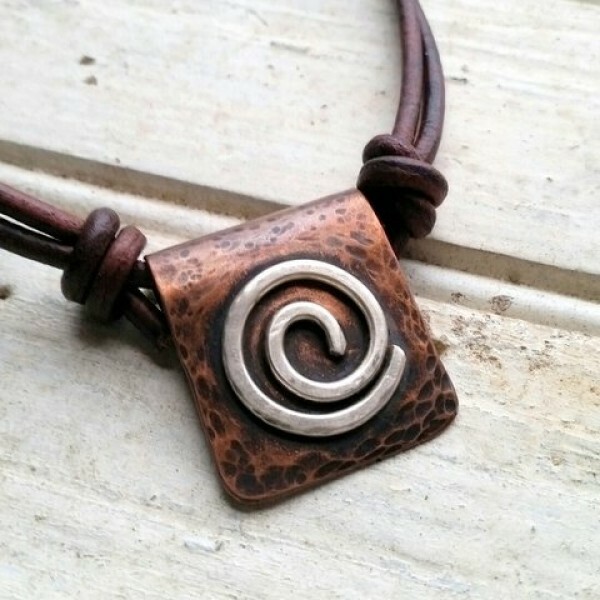 Copper with Sterling Silver Spiral. Oxidized. 1" W. 3mm Adjustable Brown Leather cord.